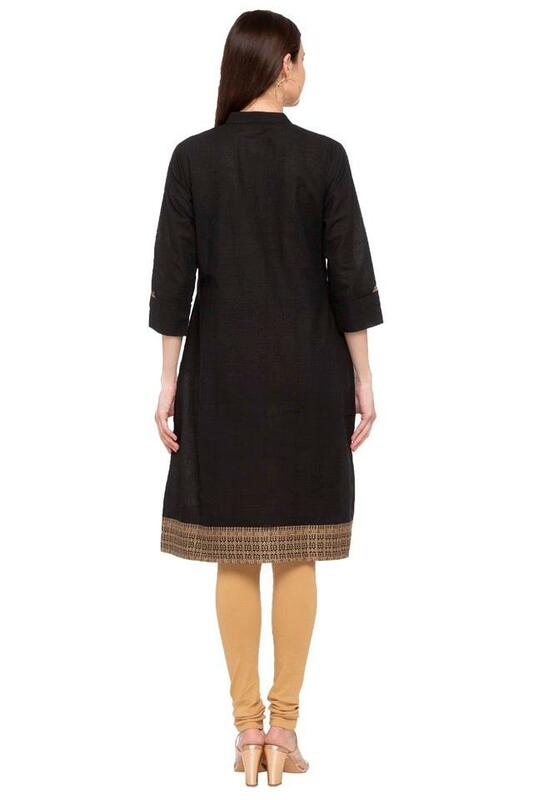 Upgrade your clothing collection by adding this kurta from the house of Soch. It features a solid pattern along with three quarter sleeves that lends it a fashionable look. Besides, it is made of a good quality fabric that will provide you with maximum breathability. It also has a mandarin collar that adds to its design.